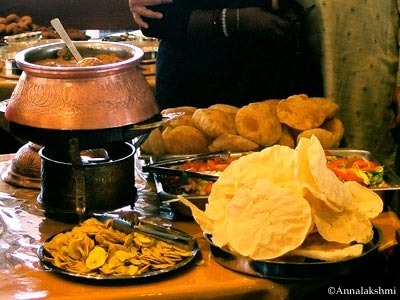 "Eat as you like, pay as you feel"
Vegetarian curry lovers, river view admirers, all-you-can-eat buffet enthusiasts - open the gates of Annalakshmi On the Swan and I guarantee you will not regret any bite. Well-guarded by two Buddhas, this Indian vegetarian restaurant overlooking the Swan River provides your weekly dose of curry, you could almost make it a daily one if you're going through a curry frenzy (however they are closed on Mondays). So it works like this: you take a tray and fill it with whatever amazing food is lying in front of you: lentil and coconut, potato and bay leaves, saffron and/or white rice. Don't be shy on the portions: at Annalakshmi you can eat as you please! The explosion of flavors that your palate is experiencing my oh my! Not to mention the wonderful smells. A glass of fresh orange juice will be at your disposal to ease the mild spicy feeling on your lips and when you think you've had enough food in your belly to last the whole week, make sure you have a tiny room left for coffee and kheer (a traditional South-Asian sweet dish made of boiled rice, milk and sugar). Full now? Good. Then sit back, relax and admire the Swan river where tourists rush into the ungoing ferries to get a good view of Perth city. Let's be realistic: it might not be Perth's best Indian restaurant however the venue, the atmosphere (as I'm writing this review two elderly Indian women are loudly chatting over the buffet), the concept - this place is one of a kind and it's definitely worth the trip down the river. The concept? Annalakshmi is a donation restaurant: you pay what you think the food is worth or as they say "Eat as you like, pay as you feel". Genius isn't it? More importantly the caring staff are all volunteers who dedicate their time to follow the will of Annalakshmi - the Goddess of Food: to serve good food to anyone who walks in. I'm just surprised the place hasn't been taken over by the many backpackers on the hunt for good cheap food and a change in 2-minutes noodles. Why? Because all-you-can eat Indian food is awesome!